Whether you're taking off on a weekend trip or a marathon adventure, you should know a thing or two about Porto Santo before setting off. Porto Santo is in Madeira Region, and approximately 35 miles (56 kilometers) from Machico. Save heaps on your vacation to Porto Santo by combining your flight and accommodation bookings. You can also pick from more than 400 airlines and 665,000 properties. Our Customer 1st Guarantee offers the added comfort of 24/7 personal assistance on everything from airfares and accommodations to activities and rental cars. If you encounter a better bargain on another site, we will refund the difference^. Don't you wish you had a little security in your getaway itinerary? Our package bundles can be adjusted with no extra fees. And so long as you get in fast, most accommodations don't charge extra fees either^. When Porto Santo starts whispering your name, heed the call and lock in somewhere amazing to stay with Travelocity. There are 10 properties in this appealing destination for you to peruse. 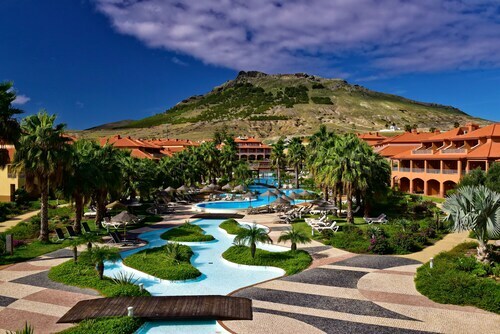 We're proud to recommend the Pestana Porto Santo Beach Resort & Spa - All Inclusive and Torre Praia Hotel. 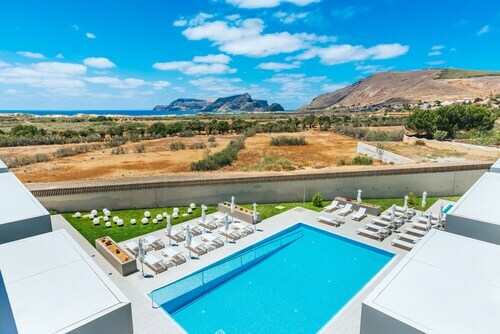 These Porto Santo properties should cater to most island travelers. Where do you fly into for Porto Santo? The buzz of being in an entirely new place never gets old. Once you've safely arrived at Porto Santo Airport (PXO), the main streets of Porto Santo will be just 1 mile (2 kilometers) from here. Can I rent a car in Porto Santo? No matter if you're visiting Porto Santo all by yourself or with a bunch of friends, it's always handy to have a set of wheels. Travelocity has plenty of rental car options, so choose one now and start putting together your road trip playlist today! If you're after a ride from Porto Santo Airport, unfortunately, there aren't any rental outlets right next to the terminal. You'll have to find other means of transportation to journey into town, 1 mile (2 kilometers) away. There is something bewitching about the undulating swell at the seaside. Unfold a picnic chair, sit back, relax and enjoy watching the ocean's ever-changing moods at Porto Santo Beach. Need some more options? Take your escape to dizzying new heights by walking up Pico Castelo. As you trudge to the top, stop for a moment and take in the gorgeous views. But that's not all. Would you like to look at the world from up high but don't want to attempt hang gliding or parachuting? Then why not trek up Pico Ana Ferreira instead? You'll be able to take in splendid views while standing safely on terra firma! If you're staying in Porto Santo, you don't have to be limited to this location. Santa Cruz is only 40 miles (64 kilometers) away and features a great range of nearby things to see and do, including the Botanical Garden. Need more convincing? The Palheiro Gardens is also close at hand. 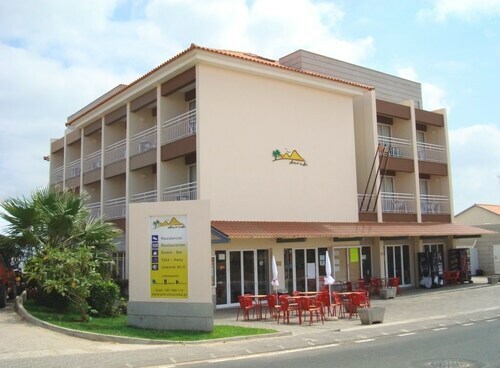 Situated near the airport, this hotel is 1.1 mi (1.8 km) from Pico Castelo and within 3 mi (5 km) of Porto Santo Beach and Quinta das Palmeiras. Pico Ana Ferreira is 4.5 mi (7.3 km) away. This family-friendly Porto Santo hotel is located near the airport, within 2 mi (3 km) of Porto Santo Beach and Pico Ana Ferreira. Quinta das Palmeiras and Pico Castelo are also within 6 mi (10 km). 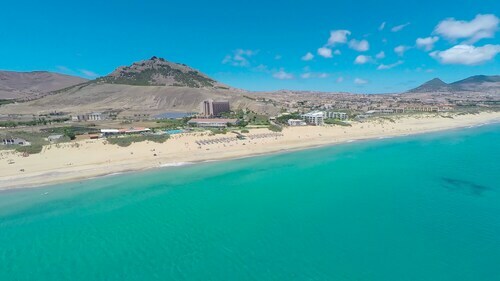 Located in Porto Santo, this beachfront hotel is in the city center, 0.1 mi (0.1 km) from Porto Santo Beach, and 2.6 mi (4.2 km) from Quinta das Palmeiras. Pico Ana Ferreira and Pico Castelo are also within 6 mi (10 km). Nestled on the beach, this Porto Santo hotel is within 3 mi (5 km) of Porto Santo Beach, Pico Ana Ferreira, and Quinta das Palmeiras. Pico Castelo is 5.5 mi (8.8 km) away. Situated near the beach, this eco-friendly hotel is 0.2 mi (0.3 km) from Porto Santo Beach and 3 mi (4.8 km) from Quinta das Palmeiras. Pico Castelo and Pico Ana Ferreira are also within 6 mi (10 km). Nestled on the beach, this Porto Santo hotel is within 3 mi (5 km) of Porto Santo Beach, Pico Ana Ferreira, and Quinta das Palmeiras. Pico Castelo is 5.1 mi (8.2 km) away. 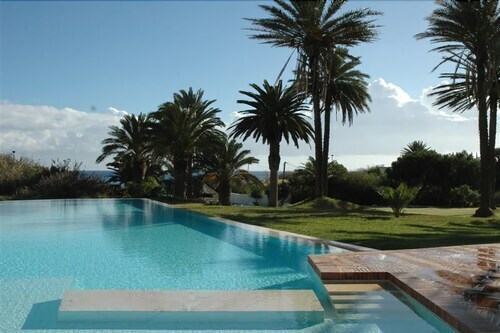 Situated in Porto Santo, this eco-friendly hotel is within 1 mi (2 km) of Porto Santo Beach and Pico Ana Ferreira. Quinta das Palmeiras and Pico Castelo are also within 9 mi (15 km). 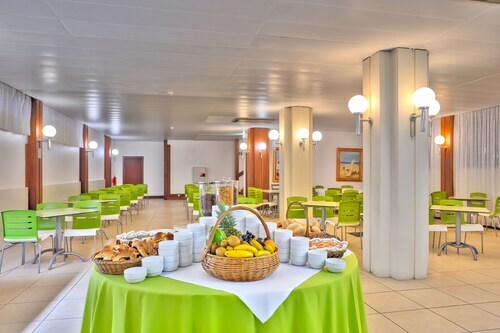 Situated near the airport, this hotel is 0.3 mi (0.4 km) from Porto Santo Beach and within 3 mi (5 km) of Quinta das Palmeiras and Pico Ana Ferreira. Pico Castelo is 5.1 mi (8.2 km) away.